We include our comprehensive appraisal for identification or insurance purposes. How much will my new diamond appraise for? 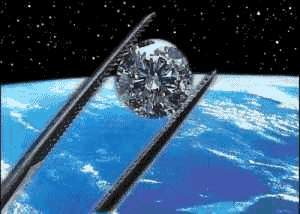 There is no GIA Report on this diamond. 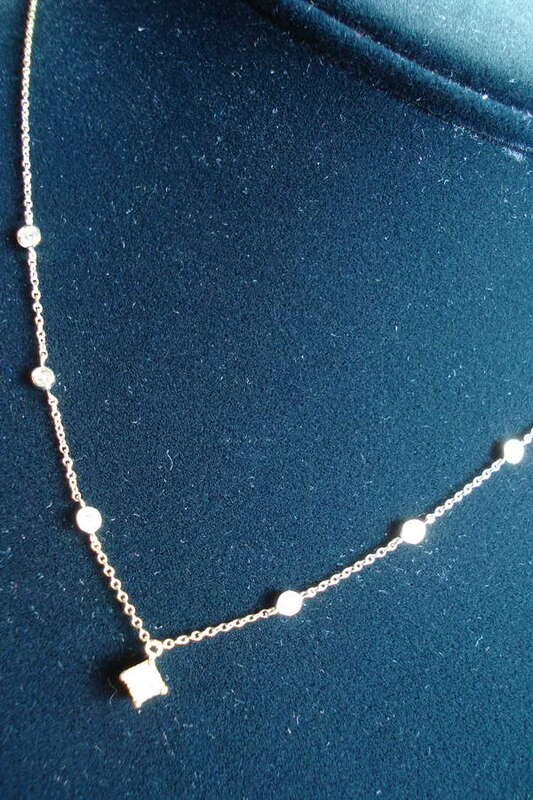 Here's a very pretty, 16inch long Necklace. 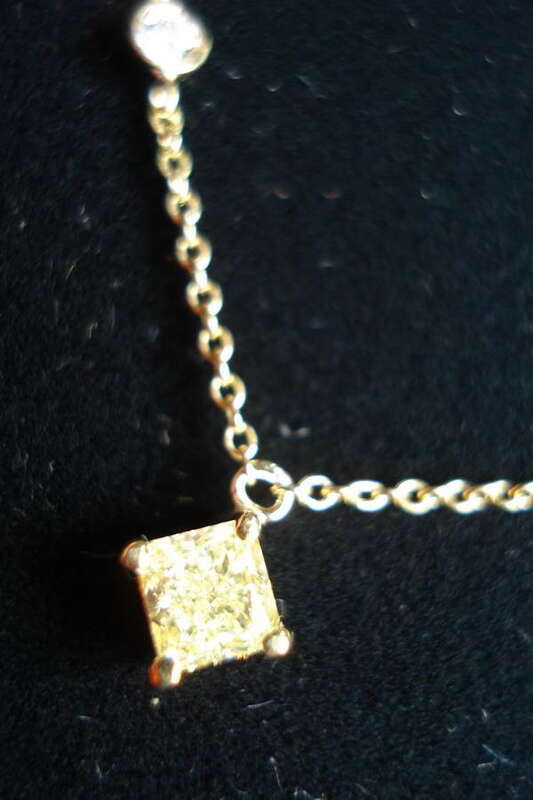 It features a sparkly, and extremely yellow princess cut center diamond. 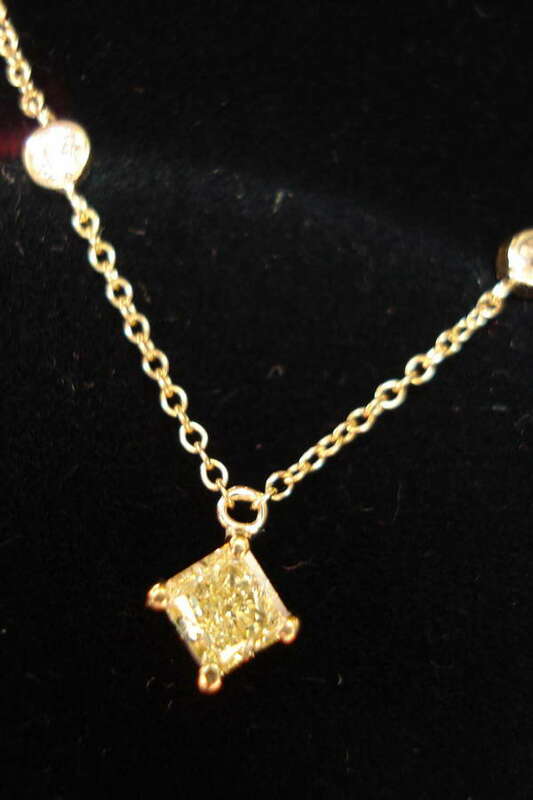 We buy large parcels of stones like this to make earrings and we happened to have a single one 'left over'"
The entire affair is luxurious 18karat yellow gold. 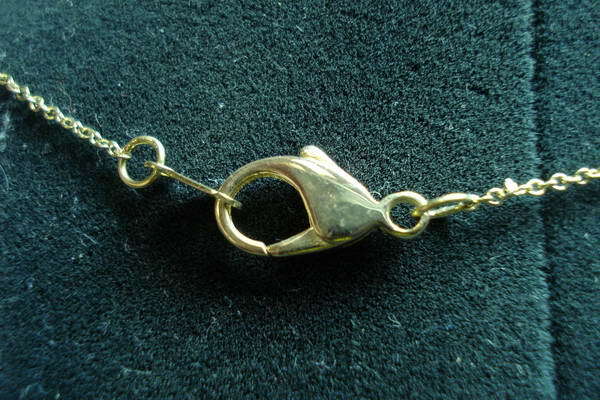 A large lobster clasp ensures ease of use and security. 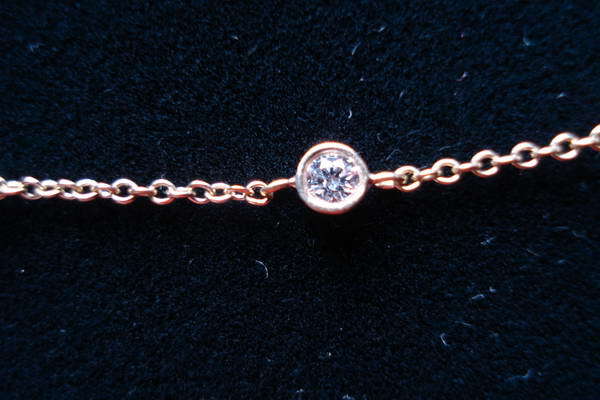 The necklace features six .05ct diamonds bezel set into the chain. 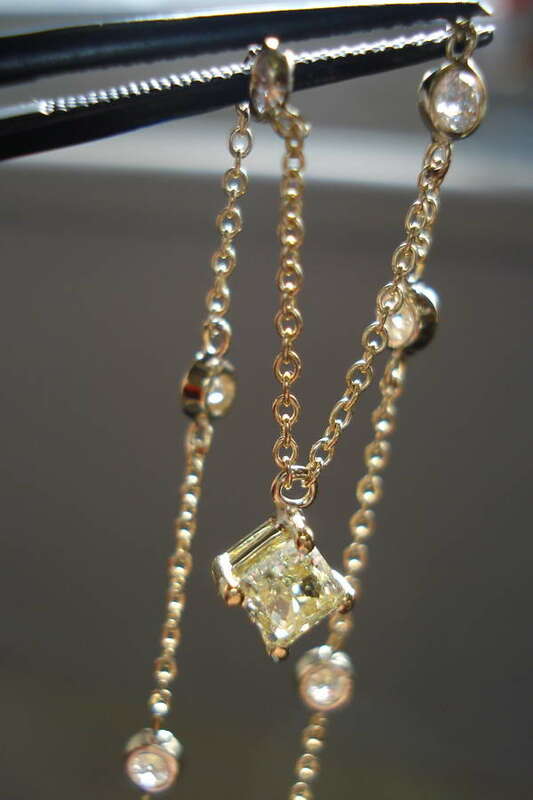 These are high color well cut brilliant diamonds. They provide a great contrast to the metal.